We are a locally owned and operated company, and we are presently servicing St. John's and surrounding areas. Our clients can reach us from 10am-6pm, Monday to Friday. A sales rep can also be reached on Saturday between 10am-5pm. Customers can get an immediate response to their questions or concerns about their cleaning, emergency stain assistance and fabric care needs. The Carpet Clinic was established in February 1986 by Wayne J. Dwyer. Wayne is a graduate of Memorial University and has spent most of his life as a resident of St. John's, Newfoundland. 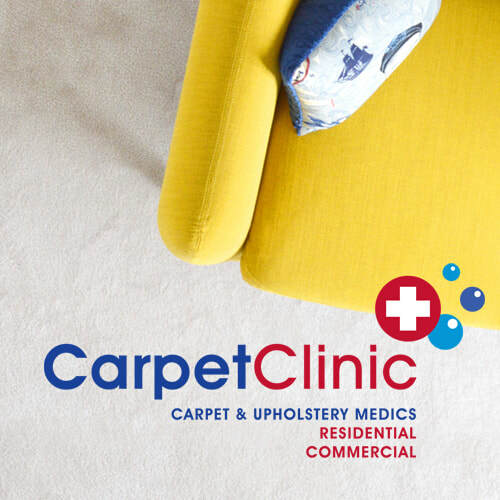 The Carpet Clinic specializes in carpet, rug and upholstery cleaning. The company presently services the St. John's and surrounding areas. From the beginning, The Carpet Clinic has cared about the environment. Every effort is used to ensure that the cleaning products we use are environmentally friendly and non-allergenic. Every effort is also made to ensure customer satisfaction. This is why we guarantee our work in writing on your receipt. This warranty expires three (3) days after the work is completed. You will find this warranty at the bottom of your receipt and we ask that our customer's who feel that we have not performed to their standards make use of it. It is your right and we like satisfied customers. Besides booking regular appointments, many customers also call us for advice on emergency stain removal and pet odour control. The Carpet Clinic is a registered Von Schrader Associate. The equipment and knowledge base generated from this company allows us to clean speciality materials such as silk. This system will be primarily used in our rug cleaning division but also can be used on delicate upholstery fabrics such as dry clean only materials and leather. As you can see, at The Carpet Clinic, we make every effort to ensure our customer's satisfaction. Call us today at: 709-739-5533 or email us at wdwyer@nf.sympatico.ca. ​Like us for updates and promotions!